You knew I was going there, right? You were just waiting wondering if today was the day, right? Well, it has finally arrived!! 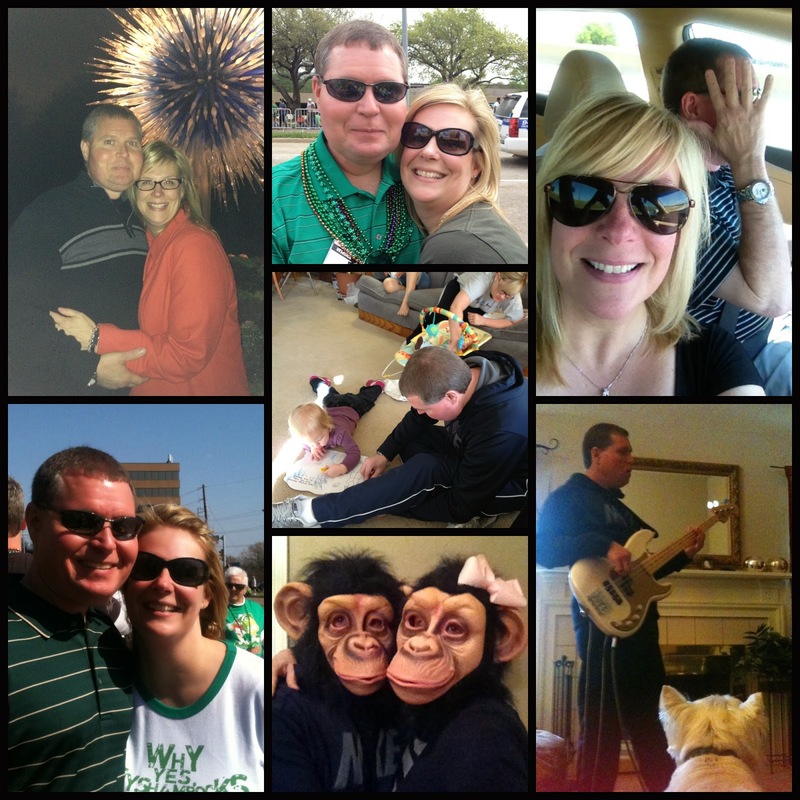 Today is the day I spout poetic, romantic, sappiness about LT and why I am thankful he is in my life. I will make this short and sweet. Y'all know how crazy I am about this man. So let me just give you a top 5 run down. I would do 10, but don't want you all jealous! LOL! Just kidding. 1. His sense of humor is wicked! He is always making me laugh. This is awesome because I believe laughter is important in life. 2. He makes me take adventures! I have never been hiking, yet with LT, there I am, happily doing a 5 mile hike up a mountain. He always wants to know what is around the corner and makes me come out of my box to see. 3. We share the some of the same passions, music is number one for us (now if he would just like to dance!) We have enjoyed so many concerts and see many more in our futures. Other things include: putt-putt, history, and travel. 4. He is an awesome dad to Gavin. Those two will play and rough house together and then I turn around and they are napping in the recliner together. I was worried when I introduced the two, but Gavin took to him just fine and they are the best of buds. I think they conspire against the cats when I am not around. 5. He loves me for me. He is always there with a compliment. He tells me how beautiful I am (especially when I am not feeling it) and gets upset when I turn all girly and put myself down. He is not the most romantic in the traditional sense (ie; flowers, cards, gifts), but he shows his love and affection by doing little things like turning the electric blanket on the bed before I go to bed so it is toasty for me, or holds my hand in public or puts his arm around me as we are shopping at Walmart. It's the little everyday things that makes my heart pitter-patter for him. I have been single for a long time, very independent, very selective. Once I met LT, it all fell away and I knew we have been waiting for each other, going through our trials and tribulations so we can find and appreciate each other. As cliched as it sounds, LT makes me want to be better and do more. Please don't think it is all a bed of roses, because there are thorns there too. That is what makes us grow together. I may always bring out his frustration when I drive (LOL) but I know the man loves me and wants what is best for me.